High school juniors and seniors have a lot on their plates. From participating in varsity sports and other after school activities to trying to ace the Common Core and college-entrance exams, deciding on a university can add some extra stress. Parents can provide their input, and it's important to have some guidelines on what to look at for each potential college. Not sure where to start? Read on. Second, learn about the school's costs. Tuition differs between schools and states. Private universities are typically more expensive than public ones. 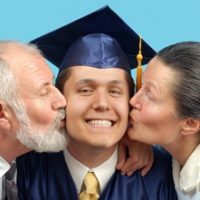 Some offer extensive financial aid packages for people who earn a certain income bracket, individuals with specific academic goals and achievements or even for those who have special disabilities. Be sure to talk to the financial aid departments at every school your teen is considering so you can factor this in to the end decision. Where your child goes to college is probably a concern for both of you. This is often the first time when students have been away from their families, and that can be stressful for everyone involved. Some teens are totally ready to fly the coop and move across the country for postsecondary school, while others prefer to stay in-state. It's important to note that many schools offer reduced tuition for students who have lived within the state for several years, so attending a school that is close to home has multiple benefits. College isn't just about getting a higher education. Students should also look into after school activities like clubs and sports. If your child loves partaking in varsity soccer, for example, see if there is a team he or she could join in college. Most universities offer intramural or co-ed sports that are less serious than college athletics so everyone who enjoys sports can get in on a team that suits them. Most majors also offer some sort of extracurricular group, like student planning meetings, graphics design teams that create content for the college or even a magazine for journalism students to try out. Getting involved in these activities can really help make students feel at home and give them a taste of what being in the industry is truly like. Consider all of these options for each school your teen is looking at. Weigh your options and even talk to the high school counselor to learn his or her professional opinion on certain schools and major to help out your child.